The Gospel of John opens with these words: “In the beginning was the Word, and the Word was with God, and the Word was God. He was in the beginning with God. All things were made through him, and without him was not any thing made that was made…And the Word became flesh and dwelt among us, and we have seen his glory, glory as of the only Son from the Father, full of grace and truth” (John 1:1-3, 14). Incomprehensible! Often at Christmas time, we are lost in the imagery of a baby, wrapped in swaddling clothes, lying in a manger. One may picture angels overhead with Mary and Joseph seated near the Child, surrounding by shepherds, wisemen, and onlooking animals. But does one contemplate the great complexity of it all? John notes that the eternal Word, the Logos, came to earth and became a human being. God became one of us. How does one understand this complex doctrine? Early in Christian history, two schools sought to develop and understanding on how it was that God came to earth. One developed in Alexandria, Egypt, a center of high intellectualism and which housed one of the largest libraries in human history—known as the Alexandrian school. Another developed in Antioch located in Asia Minor (around modern Turkey)—known as the Antiochene school. Apollinarius of Laodicea (c. 310-390) took the Alexandrian understanding of the Logos assuming flesh to the point where he claimed that a human mind and soul were replaced with a divine mind and soul. The Apollinarian school thus devalued the human aspect of Christ, a concept that would be challenged by many Alexandrians and especially the Antiochenes. Whereas the Alexandrians focused on the salvific aspect of Christ, the Antiochene school focused on the moral aspects of Christ. The Antiochene school focused on the wholeness of Christ being both divine and human. Unfortunately, like Apollinarius would for the Alexandrian school, a man name Nestorius (c. 386-451) would stretch the Antiochene understanding to the limits of heresy. Nestorius would argue that Christ held two natures: one human and one divine. Yet, Nestorius’ view led to the belief that Christ has two parts to Himself. However, a solution to this enigma would come from the Antiochene school. Thus, the solution is found by acknowledging that Christ was both divine and human, compiled into one person—Jesus of Nazareth. The Word became flesh. Therefore, one finds both the divine Word and a human persona in one being. What mystery! What wonder! The babe lying in a manger was none other than God Himself! God joined the human drama. He became one of us so that He could point us back to Him. I read a story of a farmer who returned from his children’s Christmas program. He could not understand why God came to earth, or even why He would desire to do so. After he tucked his kids in bed, he checked on his animals in the barn on this cold, snowy night. Clomping through the snow and opening the doors to the barn, he heard faint chirping. He looked to find four little birds flopping in the snow. They could not yet fly and the cold snow was freezing them. The farmer grabbed a broom, sweeping them towards the barn. The more he swept, the more frightened the little birds became. He tried to coax them inside with his voice, yet they could not comprehend his wisdom. He attempted to scoop them in his hands, only to find that the birds would flop back out. The birds were inches away from safety. The barn’s warmth would provide them shelter and warmth for the winter. Then the thought penetrated his mind, leaving him breathless with the insight of the incarnation for which he had long been longing: if he could become one of the birds, he could fix the broken relationship the birds had with the farmer. He could tell them that the farmer meant them no harm. He could lead the birds to safety, saving their lives—if only he could become a bird. God did just that for all humanity. He lived among us, so that we could live with Him. He would eventually suffer for us, so that we could rejoice. He would die, so that we could live. What mystery! What amazing mystery! And what amazing love! © December 12, 2016. Brian Chilton. Unless otherwise noted, all quoted Scripture comes from the English Standard Version (Wheaton: Crossway, 2001, 2011). This is an erroneous depiction as the wise men did not appear at the time of Christ’s birth, but rather appeared a few months to a couple of years after the birth of Christ. The Greek term translated “Word.” The Logos is a complex concept as it depicts the personification of divine wisdom. It was understood as the aspect of God that developed the universe. Arianism is comparable to the modern Jehovah Witness movement as it denied the divine nature of Christ. Alister E. McGrath, Christian Theology: An Introduction, 5th ed (West Sussex, UK: Wiley-Blackwell, 2011), 277. Cyril of Alexandria, Second Letter to Nestorious IV, 3-5. Theodore of Mopsuestia, “Catechetical Homily,” 8.13-14, Woodbrooke Studies: Christian Documents in Syriac, Arabic, and Garshuni, Alphose Mingana, trans (Cambridge, UK: Heffer, 1933), 89-90. Recently my family and I returned from our vacation at the beach. We stayed on a local island. Instead of staying at the coastal section of the island, we chose rather to stay at the side where the waterway was found. My wife noticed that many of the houses on the coastal side were in much worse shape than those on the waterway side. The waves of the ocean and the salt-enveloped wind had beaten the coastal homes. In stark contrast, the homes at the waterway were protected by the numerous trees in the area. I used to live in the area for awhile. A friend of mine, who had lived at the coast for most of his life, told me that storms had previously not affected homes as much as they do now. Why? Many of the sand dunes and trees found on these islands were removed to allow for more residential and commercial areas. Thus, homes, even on the mainland, were more prone to the waves and the wind. In a similar fashion, the Christian Church has been subjected to great flaws due to the erosion of classical understandings of the faith. Attacks on the Christian church from the outside have gathered a lot of attention. Persecution and financial pressures from outside groups often concern Christian leaders and laity alike. Yet, another threat ominously endangers the Church. No, it is not a threat from any government, world religion, or terrorist organization. This threat comes from the Church itself. “What is this danger?” you may ask. It is the danger of losing classical theology. By classical theology, I do not mean any particular view found in a non-Calvinist or Calvinist tradition. Classical theology, as it is used here, refers to the core fundamentals of apostolic Christianity, or the teachings of the New Testament apostles. Unfortunately, the fundamentals of Classical theology are eroding in many Western churches. Why? Theological liberalism along with secularism, New Age ideologies, and the desire for relevancy have begun to chip away at the underpinnings of Classical theology. Richard Howe made it clear in a session at Southern Evangelical Seminary’s “National Conference on Christian Apologetics” in 2015 that the Church must reclaim Classical theology. I wholeheartedly concur. But how do we resurrect Classical theology? I feel that focusing on four core fundamentals will help. Resurrecting the classical view of divine omniscience. Classical theology affirms that God knows all that there is to know. However, omniscience has been assaulted by New Age Christianity. New Age Christianity often seeks to excuse God from the problem of evil by claiming that God did not know that a particular bad thing was about to occur. Such reckoning wreaks havoc on the Church’s understanding of God. Why? If God cannot be trusted to know the future, then how can we trust God in His prophetic utterances? How can we know that history will be unfolded as the Book of Revelation proclaims? How do we know that God will really hold the victory in the end? In reality, a person could not trust that God would, or even could, deliver in all that He has promised. Thus, the New Age Christian lacks the trust in God’s knowledge that the Classic Christian holds. As bad as the New Age Christian attacks God’s omniscience, it is even worse when one considers the assault on God’s omnipotence. Resurrecting the classical view of divine omnipotence. Theologically, omnipotence has been understood by classical theology as God’s ability “to do whatever is possible to do.” That is to say, God can do anything that power can do. God has all-power to do all things that are logically possible. God’s omnipotence is a clear teaching of the Scriptures (e.g., 2 Cor. 6:18; Rev. 1:8; 4:8, and etc.). Early Christian teachers accepted divine omnipotence. Augustine of Hippo teaches, “We call Him omnipotent, even though He is unable to die or be deceived. We call Him omnipotent because He does whatever He wills to do and suffers nothing that He does not will to suffer.” So why does New Age Christianity seek to dismiss the omnipotence of God? New Age Christianity, as it does with the omniscience of God, dismisses divine omnipotence in an effort to explain away the presence of evil. If one could say, “God would like to rid the world of evil, but He just can’t quite do it,” then the New Age Christian feels that God’s omnibenevolence (or all-loving nature) is spared. Some may seek to compromise divine omnipotence in an effort to explain the existence of unbelievers. The New Age answer causes greater problems with it addresses. If God is incapable of doing all things, then is God truly God? God, properly understood, is the highest being in existence. If God were not all-powerful, then God would really not be God. If God were not all-powerful, then what assures the believer that God will ultimately triumph over evil? Luckily, better answers are found in Classic Christianity. If one acknowledges human responsibility and the impartation of the human will, then a person can find the answer to these conundrums without sacrificing God’s attributes. Here again, the Classic Christian answer provides a better basis than newer alternatives. In a similar sense, the Triune nature of God is diluted. Resurrecting the classical view of divine trinitarianism. One of the earliest heresies to face the Church dealt with the issue of the Triune nature of God. Christians since the days of the inception of the Church have accepted that God was One God, but in three persons. While most Christians accepted this truth, it was through a process that the doctrine known as the Trinity would be properly understood. Let me say from the outset that the Trinity was not an invention of Constantine as some have claimed. The Scriptures demonstrate the divine nature of God the Father, God the Son, and God the Holy Spirit. One of the clearest examples of the Triune nature of God is found in Christ’s baptism (Matt. 3:13-17). In the particular passage, one will find Jesus who “went up from the water” (Matt. 3:16); the “Spirit of God descending like a dove” (Matt. 3:16); and the Father speaking out from heaven saying, “This is my beloved Son, with whom I am well pleased” (Matt. 3:17). Why is it that modern versions of Christianity seek to demote the doctrine of God’s Triune nature? Many New Age versions of Christianity have been influenced by heretical groups. Worldviews found outside of the classical Christian understanding have promoted an idea of God that is antithetical to the classical view. Unfortunately, a severe lack of biblical training complemented with a woeful disregard for intellectual understandings of the faith have led to the inclusion of heresies that have been condemned since the 300s. The disregard for the Triune nature of God has also led to a weak view of Christ. Resurrecting the classical view of divine incarnation. Finally, the person of Christ has been chipped away by modern ideologies. Some have taken the Gnostic understanding of Jesus. 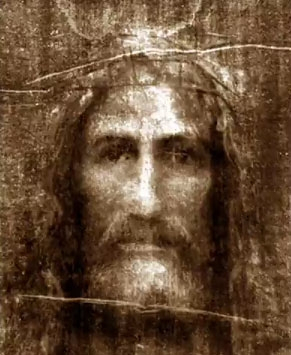 In this understanding, Jesus is seen as a mystical and spiritual person. Jesus’ humanity is ignored. Jesus is thus turned into a Marvel comic character. The opposite is also true. Others have sought to demonstrate Jesus’ humanity while neglecting and dismissing the divine nature of Christ. Individuals such as Rudolf Bultmann have sought to “de-mythologize” Christ. Therefore, any miraculous claim given by the Gospel narratives are bypassed as mere myth. In either case, the Church is (to use a cliché) standing on thin ice when accepting either of the previous alternatives. Paul records an ancient confession saying that “if you confess with your mouth that Jesus is Lord and believe in your heart that God raised him from the dead, you will be saved” (Romans 10:9). As Lord, one acknowledges the divine status of Christ. The apostle John also notes that “every spirit that confesses that Jesus has come in the flesh is from God” (1 John 4:2). The Classic Christian view is that Jesus is both God and man in one person. This article has been somewhat longer than most posts that I write. But it is longer for good reason. The church is at a crossroads in the Western world. Globally, Christianity is growing at a rapid rate. The Western church, however, has faced many problems. The problems of the Western church originate from increased secularization, decreased biblical knowledge, and an explosion of possible distractions—from technology to careers. The church in the Western world has sought to combat this decline by catering to the culture, all-the-while seeking to become relevant. While I fully acknowledge that methodologies must change, it is a grave mistake to tamper with the fundamental doctrines that uphold the Christian worldview. By “watering-down” particular doctrines, the church essentially commits the same problem that many coastal areas have done. They take down the very things that buffer them from the storms of life. Houses can be rebuilt. But undermined theology can lead to erroneous doctrines which may hold eternal consequences. Let’s fix this problem by resurrecting and maintaining classical Christian theology. © June 12, 2016. Brian Chilton. I use the capitalized term “Church” to reference the global community of Christ. Wayne Grudem, Systematic Theology: An Introduction to Biblical Doctrine (Grand Rapids: Zondervan, 1994), 190. Charles Caldwell Ryrie, Basic Theology: A Popular Systematic Guide to Understanding Biblical Truth (Chicago, IL: Moody Press, 1999), 47. In this article, I use the term “New Age Christianity” to denote a modern form of Christianity that is found to disassemble the fundamental core of Classical Christianity. I hold to a futurist understanding of the Book of Revelation. Norman Geisler, Systematic Theology: In One Volume (Minneapolis: Bethany House, 2011), 487. Augustine of Hippo, City of God 5.10. In varying degrees depending upon one’s view of salvation (soteriology). Unless otherwise noted, all quoted Scripture comes from the English Standard Version (Wheaton: Crossway, 2001). Such as the Jehovah Witness movement and the Church of the Latter-Day Saints. Also noted by Thomas in his response to the risen Jesus, “My Lord and my God” (John 20:28). When most people think of Christmas, they think of the Christmas stories found in the Gospel of Matthew and the Gospel of Luke. In Matthew, one finds the genealogy on the father’s side—albeit, the adopted father; the visitation of the angels to Mary and Joseph; the visitation of the wise men; the flight to Egypt; and the slaughter of the innocents by King Herod. In Luke’s Gospel, one finds the foretelling and birth of John the Baptist; the foretelling of Jesus’ birth; Mary’s visit to Elizabeth; Mary’s song of praise; the birth of John the Baptist; Zechariah’s prophecy; the birth of Jesus; the pronouncement of Jesus’ birth to the shepherds; and Jesus’ presentation before the Temple. Unbeknownst to many, John’s Gospel holds a Christmas story as well. While John does not provide many of the historical details that Matthew and Luke do, John provides a deep Christmas story. John’s Christmas story is found in the first chapter of John’s Gospel. What does John’s Christmas story tell us? Seeing that Christmas is really a celebration of the incarnation of Christ, John tells at least three things about Christmas. John’s Christmas Story introduces the divine nature of Jesus. That is, Matthew, Mark, and Luke all acknowledge the beginning of Jesus’ life at his birth. John takes Jesus’ beginning back to the vast realm of eternity. A person cannot escape the divine nature attributed to Jesus in John chapter 1. Jesus is described as being eternal with God, being in the nature of God. John also describes Jesus as the Creator by noting that “All things were made through him, and without him was not any thing made hat was made” (1:2). John also notes that Jesus is the source of life in 1:4-5. But, John’s Christmas story does not only include the divine nature of Jesus, he also includes information about Jesus’ mission on earth. John’s Christmas Story introduces the interactive mission of Jesus. The core truth of Christmas is that God came and dwelt among us. The very God who gave us life came and became one of us. What should this tell us? It should tell us that God is concerned about the human race. God is a loving and caring God who was not willing to leave humanity as it is, but desires to save it. John’s Christmas Story introduces the transformative gift of Jesus. John demonstrates that God came to dwell among us. John uses the illustration of the tabernacle where God’s glory would reside in the holy of holies. In this manifestation, one finds the fulfillment of the law. John states quite succinctly that in Jesus one finds “grace and truth” (1:17). Grace is unmerited favor. Nothing within us says, “I am worthy of God’s love and mercy.” Rather, God gives us something that we do not deserve—salvation. While many will be inundated with the commercialism that surrounds Christmas, it is a good practice for us all to remember God’s grace during this time. We don’t deserve the love of God. But since God is loving, he came to save us from ourselves. He came to help us understand the true meaning of love. In Christ, we find the full expression of God’s love. The world could use a great refresher course when it comes to the true meaning of love. Love is not selfish. Love does not seek to hoard. Love seeks to give. John’s Christmas story provides a poignant, yet profound statement… “the Word became flesh” (1:14). That’s the point in celebrating Christmas. Often, we become obsessed with finding the accurate date of Christ’s birth. We spend countless hours discriminating between those things that appear pagan in our celebrations, while failing to ponder on the most important truth behind Christmas. God left the portals of heaven and dwelled in a physical body among us. He came to save us. He came to love us. He came to show us the truth. Will you be willing to focus on the core essential truth of Christmas this season? If so, you might want to camp in the midst of John’s Christmas story this year. © December 24, 2015. Brian Chilton. Carson, D. A. The Gospel according to John. The Pillar New Testament Commentary. Leicester, England; Grand Rapids: Inter-Varsity Press; W.B. Eerdmans, 1991. Gangel, Kenneth O. John. Volume 4. Holman New Testament Commentary. Nashville: Broadman & Holman Publishers, 2000. Unless otherwise noted, all Scripture comes from the English Standard Version (Wheaton: Crossway, 2001). D. A. Carson, The Gospel according to John, The Pillar New Testament Commentary (Leicester, England; Grand Rapids, MI: Inter-Varsity Press; W.B. Eerdmans, 1991), 114. Kenneth O. Gangel, John, vol. 4, Holman New Testament Commentary (Nashville, TN: Broadman & Holman Publishers, 2000), 13. The incarnation of Jesus Christ is critical in understanding the person of Jesus Christ and in understanding the salvation that comes from Jesus. It is due to aberrations of the understanding of Jesus’ identity in the movements of Jehovah Witnesses and for many in the LDS church that those two movements are normally not recognized within the umbrella of Christian faith by most evangelicals. For instance, Jehovah Witnesses claim that Jesus was a created being. Charles Taze Russell, the founder of the Jehovah’s Witnesses, claimed that Jesus was the archangel Michael. Joseph Smith, the founder of the Mormon church, claimed that Jesus was the first offspring from a Heavenly Father and Heavenly Mother. The LDS hymn “O My Father” (LDS Hymnbook #292) refers to a Heavenly Mother. Therefore, Jesus is reduced to a mere offspring and not the God incarnate as identified in Scripture. This article will examine the essential doctrine of the incarnation of Jesus Christ. The doctrine of the incarnation of Christ has to do with the person of Jesus Christ. It seeks to answer the question that Jesus posed to Simon Peter, “Who do you say that I am” (Matthew 16:15). Who was Jesus? Those who knew Jesus best answered that Jesus had two natures: Jesus was divine and Jesus was human. “who, although He existed in the form of God, did not regard equality with God a thing to be grasped, but emptied Himself, taking the form of a bond-servant, and being made in the likeness of men. Being found in appearance as a man, He humbled Himself by becoming obedient to the point of death, even death on a cross. For this reason also, God highly exalted Him, and bestowed on Him the name which is above every name, so that at the name of Jesus every knee will bow, of those who are in heaven and on earth and under the earth, and that every tongue will confess that Jesus Christ is Lord, to the glory of God the Father” (Philippians 2:6-11). This hymn is important because it pre-dates many of the New Testament documents. For instance, Elwell and Beitzel write about the early nature of the incarnation, “As a result, some believe that it represents an earlier stage in the development of the church’s theology, before the doctrine of the incarnation had evolved. That is doubtful for two reasons: incarnation passages like the Philippians hymn (2:6–11) probably antedate Mark’s Gospel; and Mark has a well-developed theology of the two natures of Christ” (Osbourne 1988, 1026). Although John’s gospel was one of the later documents written, John left no room for doubt concerning Jesus’ divine nature as John wrote, “In the beginning was the Word, and the Word was with God, and the Word was God. He was with God in the beginning. Through him all things were made; without him nothing was made that has been made” (John 1:1-3, NIV). So, it can be seen that Jesus was viewed as divine from the earliest times of church history. Jesus was clearly seen as a human being, as well. This is clear from the Philippians hymn as it was recorded that Jesus “taking the form of a bond-servant…made in the likeness of men.” Jesus was not a theological concept nor was Jesus an intellectual invention. Jesus was in fact a human being. This is evidenced by the fact that Jesus grew in stature (Luke 2:52), became tired (John 4:6), slept (Matthew 8:24), wept (John 11:35), and became hungry (Mark 11:12). All these attributes show that Jesus was in fact human. It is important to keep a good balance of Jesus’ humanity along with Jesus’ divinity. Why should a Person Believe the Doctrine? No reputable historian denies the existence of the historical Jesus. Only those in secular online communities give any weight to the “Jesus is fiction” myth. Jesus’ existence is not only confirmed in the New Testament records, but there are extra-biblical writers who confirm the existence of Jesus of Nazareth (the official historical name for Jesus). It would be irresponsible for this article to seek to offer an exhaustive list of extra-biblical writers, however, a few of the more popular sources will be given. “Consequently, to get rid of the report, Nero fastened the guilt and inflicted the most exquisite tortures of a class hated for their abominations, called Christians by the populace. Christus, from whom the name had its origin, suffered the extreme penalty during the reign of Tiberius at the hands of one of our procurators, Pontius Pilatus, and a most mischievous superstition, thus checked for the moment, again broke out not only in Judea, the first source of the evil, but even in Rome, where all things hideous and shameful from every part of the world find their center and become popular” [Annals 15.44]. From these two sources, one can find that there is good and early evidence to support the historicity of Jesus of Nazareth as well as the New Testament documents which must be included. “On the eve of Passover Yeshu was hanged. For forty days before the execution took place, a herald went forth and cried, “He is going forth to be stoned because he has practiced sorcery and enticed Israel to apostasy. Any one who can say anything in his favour, let him come forward and plead on his behalf.” But since nothing was brought forward in his favour he was hanged on the eve of the Passover” [Sanhedrin 43a, Babylonian Talmud]! Obviously “Yeshu” is the Hebrew, or Aramaic, form of “Yeshua” which is translated over to “Jesus” in English. In this text, it is seen that Jesus was hung (another term for crucifixion) on the evening of Passover. Jesus was accused of working sorcery. Obviously this is a link to the miracles performed by Jesus. The greatest miracle of all would be that of the resurrection of Jesus. The resurrection is not mentioned here as it will be addressed in the 6th installment of this series. Jesus obviously believed Himself to be the incarnate God. Jesus called Himself “Son of Man.” This was, in fact, Jesus’ favorite term for Himself. The phrase “Son of Man” alludes to the Daniel prophecy pertaining to the one who approached the “Ancient of Days.” The “Son of Man” prophecy alluded to one who would be divine (Daniel 7:13). John records Jesus’ “I Am” teachings. This was a direct reference to divinity as the sacred personal name for God (YHWH) was defined as “I AM WHAT I AM” (Exodus 3:14). So for Jesus to call Himself the “I Am” is a direct reference to His divine nature. This may not be popular with some theologians and apologists, but I believe that the transformation of individuals that comes from a relationship with Christ is to be understood as an important aspect of Jesus’ identity. The fact that people are transformed shows that there is power in the one who was known as Jesus of Nazareth. Why is the Doctrine Essential? John writes, “This is how you can recognize the Spirit of God: Every spirit that acknowledges that Jesus Christ has come in the flesh is from God” (1 John 4:2, NIV). It is clear that one must accept Jesus as God come in the flesh is important for one to be identified as a true Christian. Jesus’ divinity is mandatory, as well. Jesus Himself said, “For God so loved the world, that He gave His only begotten Son, that whoever believes in Him shall not perish, but have eternal life” (John 3:16, NASB). This text shows that it is important to understand the divine nature of Jesus in order to be saved from sin. Therefore, it is important to understand that the Christ of faith and the Jesus of history are the one and same person. It is this historical Jesus Christ that can redeem a person from sin and set a person on a right path. All Scripture identified as (NASB) comes from the New American Standard Bible: 1995 Update. LaHabra, CA: The Lockman Foundation, 1995. All Scripture identified as (NIV) comes from The New International Version. Grand Rapids, MI: Zondervan, 2011. Osborne, Grant R. Baker Encyclopedia of the Bible Edited by Walter A. Elwell and Barry J. Beitzel. Grand Rapids, MI: Baker Book House, 1988, page 1026. Pliny the Younger. Letters 10.96. In Norman L. Geisler. Baker Encyclopedia of Christian Apologetics, Baker Reference Library. Grand Rapids, MI: Baker Books, 1999. Sanhedrin 43a. Babylonian Talmud. In Norman L. Geisler. Baker Encyclopedia of Christian Apologetics, Baker Reference Library. Grand Rapids, MI: Baker Books, 1999. Tacitus. Annals 15.44. In Norman L. Geisler. Baker Encyclopedia of Christian Apologetics, Baker Reference Library. Grand Rapids, MI: Baker Books, 1999.